To support teachers and students with the use of an audience response tool to facilitate live voting during classroom sessions, UM Library has started an official pilot with the platform Wooclap. Therefore, the library is looking for participants to take part in this pilot. Furthermore, during the pilot phase, we also encourage teachers and students to test an alternative: Mentimeter (the free version). After the pilot phase, we will evaluate and look into upscaling campus-wide. If you want more info on this pilot, please contact us via Ask your Librarian. If you want to to take part in this pilot, contact the Blended PBL Support team via blended-pbl@maastrichtuniversity.nl. What are Wooclap and Mentimeter? Wooclap and Mentimeter are Audience Response Tools (ART) that offer teachers and students the opportunity to communicate via polls, test questions, Wordclouds, gamification, etc. The questions are displayed on mobile devices and the answers are shown on a central screen. Using an ART, the presenter engages the audience in an interactive way with the learning activities. Wooclap offers a lot of different question types and is very easy to use. It’s an interactive solution that makes learning awesome and effective. 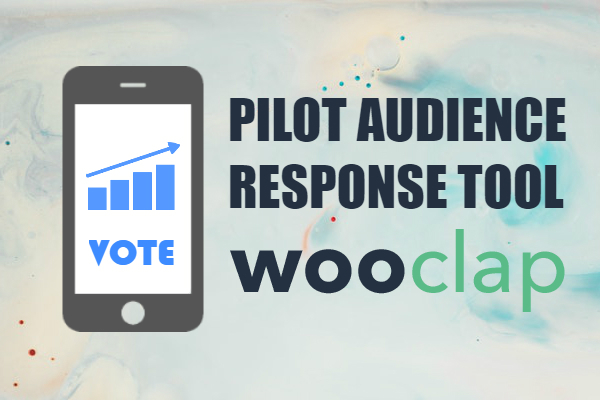 Watch this short video and learn how to use Wooclap to interact with your audience. Watch another short video and learn how to use Mentimeter. Increasing interaction between teachers and students can improve long-term retention of learning materials, enhance student attention and involvement, identify gaps in knowledge, and provide immediate feedback to your course. In addition to hand raising or using microphones, audience response tools provide a way to increase interaction during lectures.